Managing your oral health is a full-time job. Your teeth are constantly on display for the world to see, so it is only natural to do everything in your power to keep them looking fresh and healthy! Unfortunately, our teeth can’t always be perfect, which is where restorative dentistry comes into play. The term “restorative dentistry” refers to returning your mouth to a functional state. 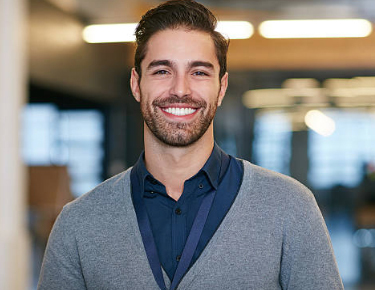 Examples of restorative dentistry procedures include dental bridges, implant-supported bridges, dental implants, and dental crowns in Lincoln Square. Read about each procedure here and please contact Cornerstone Dental of Lincoln Square. Dental crowns can be utilized in a wide variety of situations. They are tooth-shaped caps that are placed over individual teeth to help improve size, strength, and overall appearance. If you have a weak tooth that is suffering from decay, you may opt for dental crowns in Lincoln Square. They can also be used to cover dental implants, to hold a dental bridge in place, to restore a broken tooth or to improve the appearance of a misshaped tooth. Dental bridges are another way to improve your smile. They are made from two or more crowns to help close larger gaps in your mouth. Depending on the number of teeth that need to be replaced, dental bridges may be made from anchoring teeth, called abutment teeth, and false teeth in-between. Not only can dental bridges improve the appearance of your smile, but they can also restore your ability to chew and speak as well as help maintain your face shape. Another option to replace missing teeth are implant-supported bridges. In this case, the bridges are supported by dental implants that hold the bridge in place. They are very secure, making them comfortable and very comparable to your natural teeth. With a 98 percent success rate, dental implants are a very popular and reliable way to replace missing or damaged teeth. Whether you need one dental implant or a mouthful of them, you’ll restore your smile to its full potential. Not only do dental implants restore your smile, they promote jaw bone growth, as the titanium rod is anchored into your jaw bone and helps preserve a strong jaw. If you aren’t happy with your smile, there’s no need to panic or become frustrated. Schedule an appointment with Cornerstone Dental of Lincoln Square to receive a dental crown, dental bridge, and more!